If you have the desire to work as a crime scene investigator, then more than likely you will want to pursue your Bachelor's degree in forensic science. Many individuals who have worked as private investigators or police officers eventually end up entering the field of crime scene investigation. Although it is not necessary for you to have a background in these two career areas, it may serve to give individuals an added advantage if they are that familiar with the law enforcement system. While many professions in this field of study will require you to further your education beyond a bachelor's degree, there are still many options for employment in this career path. 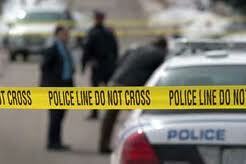 Similarly, many colleges and universities offer a two year course of study in relation to crime scene investigation. Should you choose to pursue this educational route, much of your course work will likely transfer when you begin working on your degree. This choice will result in you completing your Bachelor's degree in a shorter period of time. Of course, as with any other degree program, you must first obtain your high school diploma before you can begin working towards your degree at a post-secondary learning institution. Also, the school you choose to attend may require you to submit a copy of your transcript, a copy of your ACT scores, and letters of recommendation that reflect you positively. After completing your general education courses, your degree program will require you to take classes that heavily focus on physics, biology, statistics, quantitative analysis, chemistry, and mathematics. More advanced course work that will directly relate to your future career include: criminalistics, criminal justice, technical writing, biochemistry, organic chemistry, law, and instrumental methods. Depending upon which college or university you decide to attend, you may also be required to complete an internship prior to graduation. This will allow you the chance to apply your knowledge and skills in a laboratory setting and will also serve you favorably as you begin seeking employment. An internship will show potential employers that you not only have the skills and knowledge you need, but that you can appropriately apply it as needed on the job. It is also common for individuals with a Bachelor's degree in crime scene investigation to seek a variety of certifications after graduation. Typically, these certification programs require you to have a specific number of years of experience and to earn a passing score on an examination. For instance, you could choose to get certified by the American Board of Criminalistics, the International Association for Identification, or the American College of Forensic Examiners. If you decide to pursue certification in a particular area, you will want to check to see what that particular institution requires from their candidates. Also, keep in mind that these certifications must be maintained by periodically becoming recertified. These certifications help to show potential employers that you have the desired skills and knowledge in specific content areas related to forensic science. Hands-on Training – One of the things that a successful school will have is hand-on training. Some schools offer 70% of the training this way and 30% online or in-classroom discussions. I wouldn’t exclude schools that are 100% online as they often have online videos and other ways of teaching aspects of this career online. Qualified Facility and Facility – Many of the schools you’ll research on our site will have former law enforcement and even forensic experts that teach their courses. Having such qualified instructors is a big advantage for you. Also many of the facilities have outside labs that will put in a real-life setting while conducting cases. Subjects Covered – Not all schools will teach the same way. They might all cover the basics to earn your Bachelor’s degree in crime scene investigation but some will give you more choices in courses you can take. We recommend taking courses in: latent print, photography, bloodstain pattern, courtroom testimony and human remains recovery if they offer these courses as part of your degree. We interviewed Mr. Nichols so we could better inform the visitors of our site that are interested in becoming a crime scene investigator. I got into CS investigation in the 1990’s. Back then things were extremely different as we had lots of unsolved murders because we really didn’t have the technology to solve the crimes. DNA was around but it wasn’t like it is today. I really enjoy my work and just recently move to more of a desk job as I’m getting close to retiring in a few years. Question: We all see shows like CSI on TV and think that is what the career is really like. Can you talk a little about what your day is really like? Well personally I love CSI and have watched it ever since it came out. At first they were pretty bad with how they did things but over the years they have got the terminology down and I think they do a great job. I mean the show is only an hour so they have to cram a ton of things in that time period. The real job of course would take months of work that is about 1% as exciting as the show. A typical day is spend doing a ton of paperwork. When we are called out to a crime scene we really aren’t in this massive hurry once we arrive. We do everything by the book and in a logical order. We spend tons of time taking pictures and collecting evidence (mainly finger prints). I worked in a pretty dangerous city where most of the deaths I saw was gang related. I collected shell castings and tried to figure out how things happened. The hardest thing was most of the guns that were used were stolen and matching up bullets is hard. I spent also a lot of time interviewing neighbors and witnesses and that is where the paperwork kept me busy. Question: We have heard that dealing with the smell of people murdered is hard, your thoughts? Not really. Most of the time when we arrived the individual might have been dead for just a few hours. I mean sometimes we are called out where the body has been there for a week or so but the sight of things is actually harder to deal with than the smell. Unlike what you see on TV we don’t do or have anything to do with the autopsy in fact I’ve never even seen one before. Being a crime scene investigator is a pretty stressful job. You are in charge of doing your job correctly and if you miss something or do something wrong it could have a negative impact on a case. The work hours are probably the hardest as you need to be available when something happens and that could mean 3am on a Sunday.